Product prices and availability are accurate as of 2019-04-20 13:01:16 UTC and are subject to change. Any price and availability information displayed on http://www.amazon.com/ at the time of purchase will apply to the purchase of this product. 1. 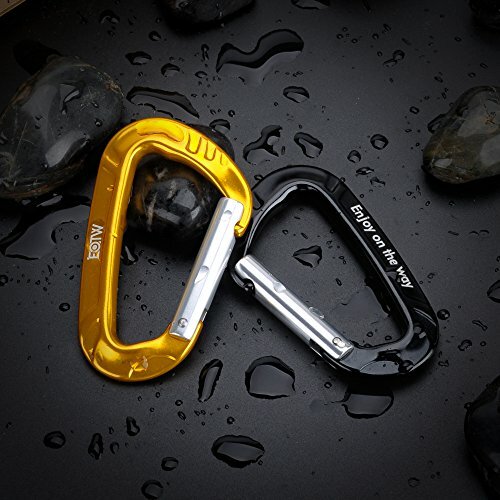 This Keychain Carabiner Quickdraw with Perfect size for holding/hanging a water bottle, keys, USB stick, mini flashlight, knife, telescopic pen, water shoes, Or any items on your backpack, book bags, camera bag, dogs leash. Even stocking stuffs for Christmas. 2. Function to keep things together and carry around. 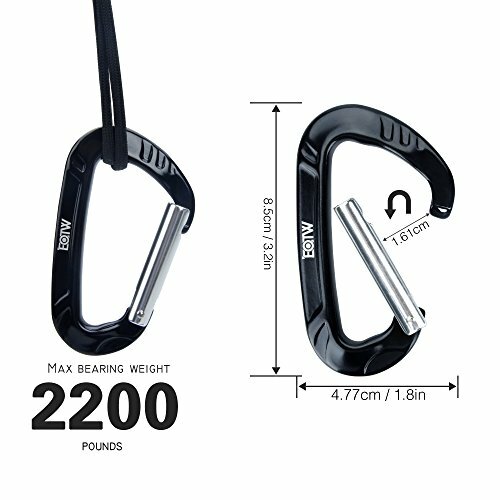 You can use this Carabiner key chain to clipping keys onto your purse or pants for day-to-day usage. 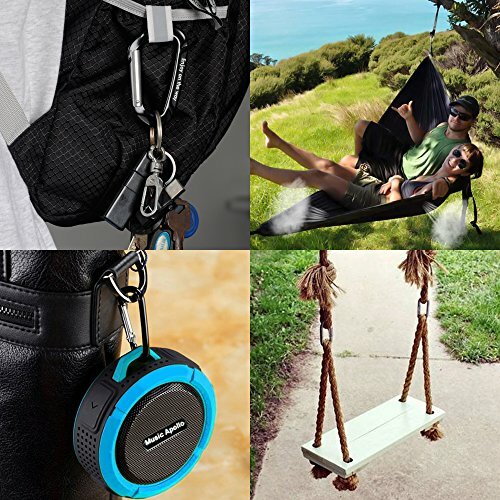 Or have it for connecting outdoor essentials while camping, hiking, working. 3. 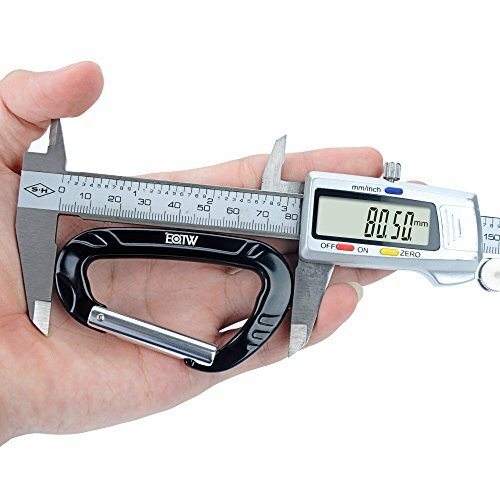 Made from High quality Aluminum Alloy and well coated without sharp edge, lightweight but sturdy. 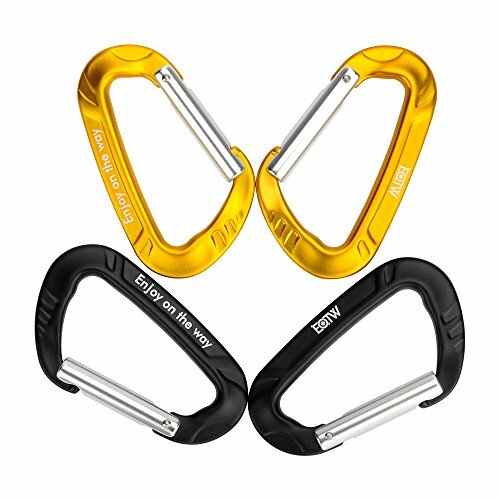 Nicely constructed solidly built with sleek compact design, a great Carabiner that locks into place and tightly. 4. Easy to get on and off manageability with one hand. Compact functional design make it hooks work tightly but will not clip your skin. Heavy duty to withstand over 1200KG of force. Perfect for use with your hammock suspension system, clipping camping gear and accessories to your backpack and many other utility uses. 5. This Carabiner Keychain D-ring Lock Buckle with Pack of 4 (2*Black+2*Gold). 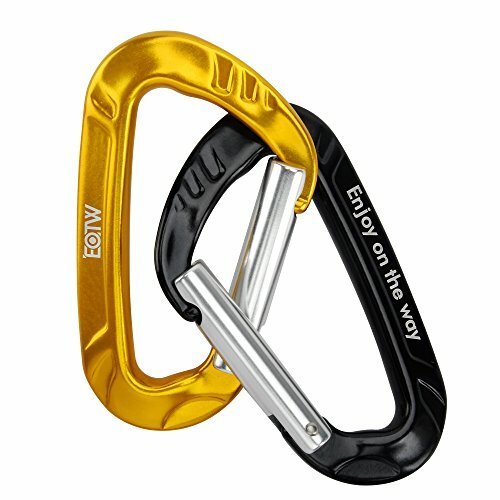 EOTW Carabiner comes with a lifetime warranty against material and workmanship defects and world class customer service. Any question, Just contact us and we will make you 100% satisfied.